Our Stainless Steel Chrome Look Viper BB005 Styling Side Steps are the BEST! The finish is gorgeous hand polished mirror look stainless steel. Easy to fit with tough anodised brackets and strong enough to Stand on. Just look at the photos to see the quality and workmanship in this product!Perfectly angled ends, rounded, a process that takes experience and skill. Our bars do NOT have cheap straight cut ends. These bars shout quality. The price includes a pair of Side Steps with 4 Cut-out Plastic Steps for Grand Vitara 5DR Models that fix to chassis frame mounting points. Our Side Bars and Steps are Hand Polished to a mirror finish. Photo shows earlier style flat end profiles - Please see new upgrade on 1st photo. 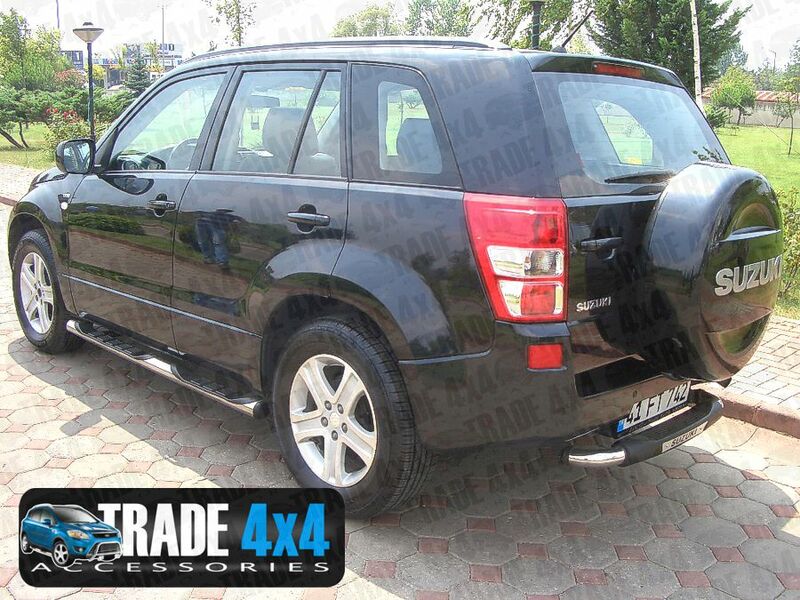 Excellent value for your Suzuki Grand Vitara giving an excellent finishing touch. Excellent product quality. Easy fitting system. first time we've fitted these, but found the fitting system very simple, the product quality is as good as any we've seen or fitted in the past. Highly recommended. Click the button below to add the Suzuki Grand Vitara 5DR Side Steps Bars VIPER BB005 76mm 2006-14 to your wish list.